While the month of March is over, we all can celebrate the fact spring is here and the hot weather is just around the corner. 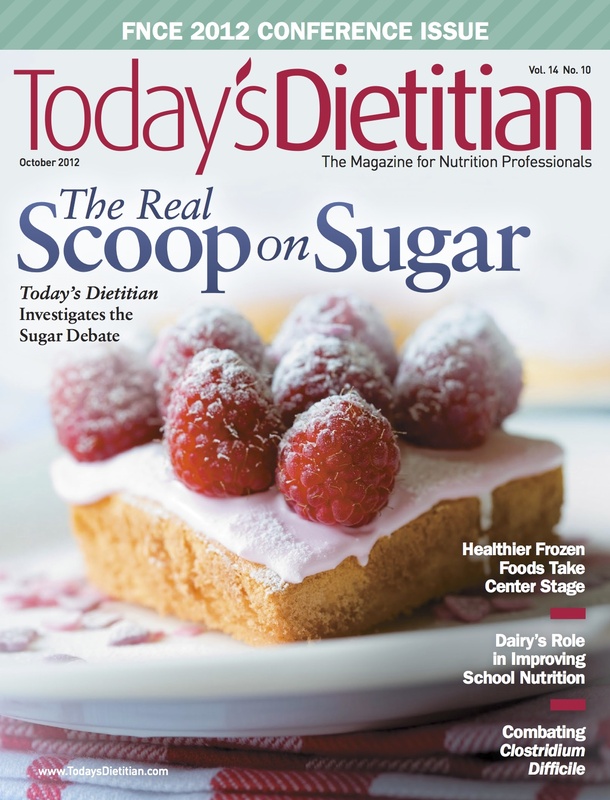 Even though today marks the beginning of April, I want to share some of the great articles we published in the March issue of Today’s Dietitian. If you want to jazz up your breakfasts and make them more healthful, read “Best Breakfasts from Around the World.” This article talks about all of the delicious breakfasts people eat in China, Vietnam, Costa Rica, Turkey, Israel, and Venezuela. You’d be surprised what they eat and how much it differs from what we eat here in America for that all-important morning meal. Have a desire to learn how you can eat more healthfully as an African American? Check out “Obtaining Health Through Heritage.” This article discusses the African Heritage Diet Pyramid, which features the delicious foods rooted in African traditions that can prevent heart disease, diabetes, and stroke that plagues the black community. 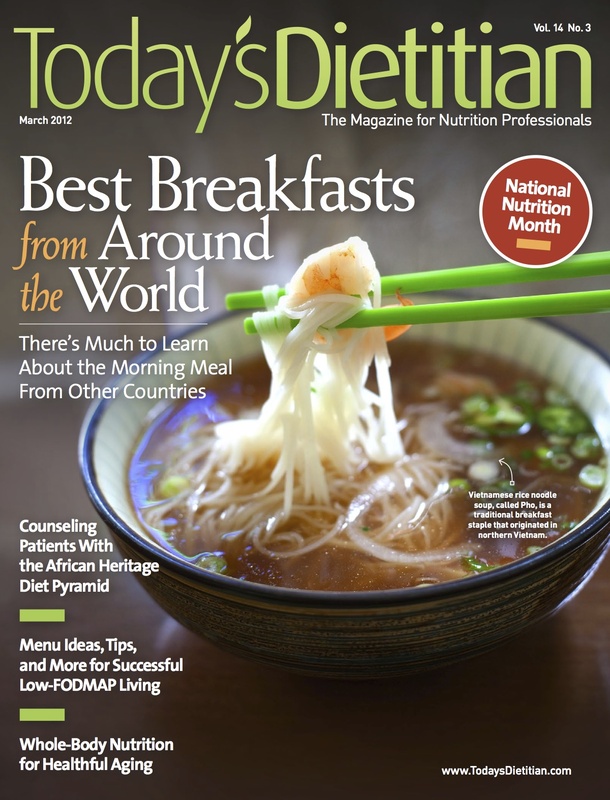 The article provides recipes for a Brazilian fish stew, West African peanut soup, Grilled red snapper, and more. The April issue comes out at the end of this week. If you’re a fan of the summer Olympics, which will be held in London this year beginning in July, we have a story just for you. Until then, take care. See you around in cyberspace. It’s been a while since I’ve written a post. I’ve been extremely busy developing story ideas, assigning articles, speaking with freelance writers, editing copy, gathering news, and choosing photos for Today’s Dietitian. 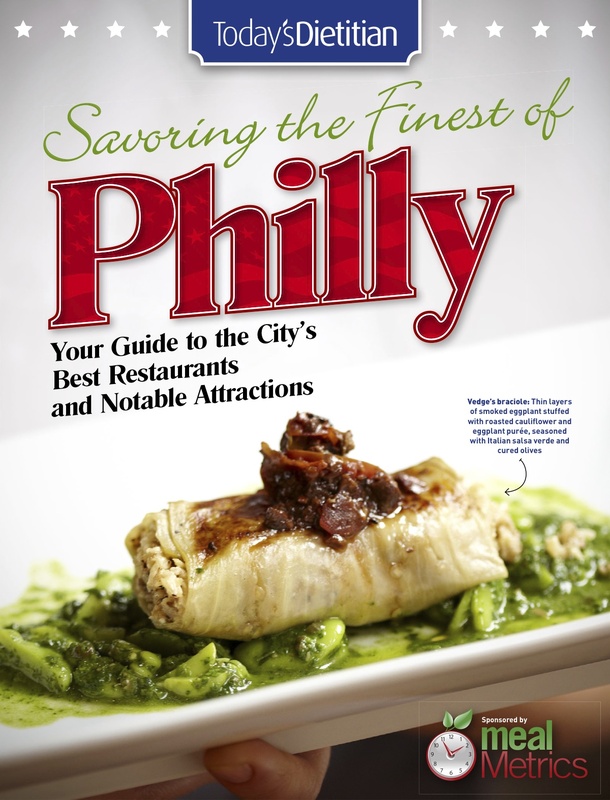 The February issue is hot off the presses. Click here to view the digital issue. Did you know that chocolate, specifically dark chocolate is good for your heart? That’s right. When eaten in moderation, dark chocolate can reduce your risk of heart disease and stroke. Now don’t go running out to the store and buy a bunch of candy bars. The chocolate has to be dark and unfortunately bitter. In fact, the darker and more bitter it is, the more healthier it is for your heart. Milk chocolate just doesn’t contain the heart-healthy antioxidants like its dark cousin. 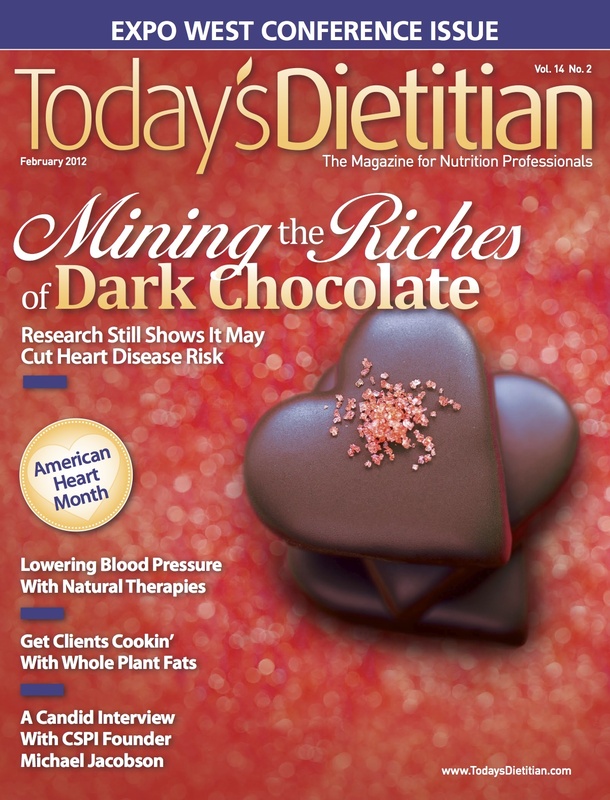 Read all about how dark chocolate can improve your health here. If you have high blood pressure, read about the natural supplements you can take to help lower it here, and how cooking with healthful fats such as extra virgin olive oil also can lower heart disease risk here. I’m so proud of this issue. It seems as though each issue I work on gets better and better. I owe it all first to God and the people with whom I work: the advisory board, the freelance writers, and the talented art staff. Without them, I couldn’t do the job I’m doing. Thanks everyone. I hope you enjoy the March, April, and upcoming May issues. Speak with you soon.